The 2016 Honda Fit confirms that good things come in small packages. You get everything you want in a small car, and a big helping of attitude. Its 1.5L four-cylinder engine is a little dynamo that keeps you in the fast lane and on the fast track with 130 hp, and the smooth-shifting six-speed manual transmission is highly responsive. By the way, Fit is the most appropriate name ever bestowed on a car. 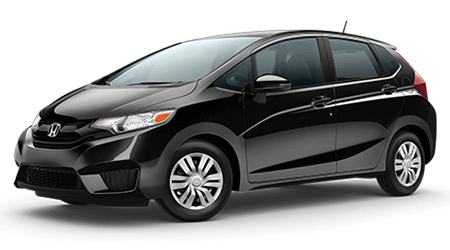 The Honda Fit is a perfect "fit" for your budget and your lifestyle, it is a lean and aerodynamically "fit" vehicle that cheats the wind, and your friends will have a "fit" when they see all the high-tech amenities inside. You will get more bang for your buck at Honda of Jefferson City, MO , where the 2016 Fit is now in stock, and ready for a refreshing test-drive. You will appreciate the two-speed intermittent windshield wipers, expanded-view driver's side mirror, LED brake lights, piercing fog lights and intermittent rear window wipers, which all help you navigate the worst of our weather. Calling all bargain-seekers in Jefferson City, and Jefferson City: The dynamic 2016 Honda Fit is now available at Honda of Jefferson City, 3625 Missouri Blvd in Jefferson City, MO. We hope you'll drop by soon to see all the new Hondas, especially the fiery Fit. Not unlike a Genie's lamp, the new Fit looks small from the outside, but is cavernous on the inside. That is thoughtful engineering at its best! You will never feel cramped or claustrophobic inside the Fit, and the EX-L edition gives you a plush, leather-trimmed interior that you rarely see in a compact car. Need more space for unwieldy cargo? It will not be a problem with Honda's exclusive second-row disappearing Magic Seat® which folds completely out of sight to let you carry a bike, a small couch, or those two weird folding lawn chairs your brother likes to take everywhere. Perhaps the most striking feature of the 2016 Fit's interior is the Refresh Mode. In this mode, you remove the front headrests, fold the front seats down and - Voila! - your Fit turns from a four-seater into a seamless cabin with two reclining lounges that are more comfortable than most beds you've slept on. Yes, the new Fit provides all the comforts of home, and then some. A quick look at the 2016 Honda Fit tells you it's considerably different from previous years. It is rebuilt on a new platform and sports a new, sleeker look. Although it's the same height as previous years, the new athletic stance and smaller windows make the 2016 Fit look imposing and hefty. This year's Fit is also slightly wider and heavier, weighing in at an impressive 2,572 pounds. It stands out from the crowd with body-colored power side mirrors and door handles, as well as a matching rear roofline spoiler. The look is even more dramatic after dark, when the multi-reflector halogen headlights light up your Honda Fit like a Christmas tree. Come to our modern facility at 3625 Missouri Blvd in Jefferson City, MO, and we will show you the 2016 Fit in all the most popular colors and trim levels. Our customer service is legendary, and our friendly staff will always go the extra mile for you. If you live in Jefferson City, and Jefferson City, you are just down the road from us, so be sure to drop by soon to see the 2016 Honda Fit in its best light. Believe us, you CAN afford a fit and trim new Fit.